Blurb: Jamie thought he made it home to Tucker, leaving war behind. Now, each day he battles to fit into his own life, and save the love that saved his life. Jamie is a captain in the U.S. Marine Corps who carried a photo of Tucker with him throughout his deployment. His body and his heart both make it home, but he isn’t sure about his sanity. It no longer feels as if his own life even fits. Tucker is a reformed bad boy who has an advanced degree and an important job but still sports long hair and tattoos. He missed Jamie while he was deployed, but he couldn’t stop living his own life. Now, they’re struggling to learn to live with each other again, and things are going downhill fast. Jamie wants everything to be the way it used to, but his anger and self-destructive behavior begin to push Tucker away. Too much alcohol and a night of violence inside their home take them nearly to the brink. 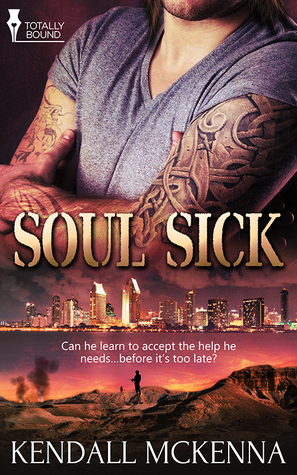 Tucker is willing to fight alongside Jamie to keep it all from falling apart, if Jamie can learn to accept the help he needs…before it’s too late.